Manual programming for a CNC mill or lathe has been the most common way to program over the years that CNC machines have been used. Manual programming is done either by hand and transferred to a computer file, or punched in by hand on the machine controller. Lets look at the good stuff first… Manual programming is limitless when it comes to developing a part program. You can set and adjust every fine detail to your exact touch, whether it’s tweaking feeds and speeds, changing cycle parameters, or using different cycles. Another big advantage is that manual programming teaches strong discipline. 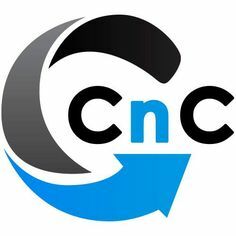 The machinist writing and/or editing a program must grasp the skill and techniques of CNC programming to be proficient. Every number, every letter, every decimal, must all be to perfection for the program to run smoothly. In addition, being able to do all of your programming gives you an edge over the competition when it comes to looking for a job. A bonus if you’re going be programming on a CAM/CAD system, is that you will be able to understand what exactly is going on and why. Programming software can get pretty complex these days, and it’s your job to know every little detail on how the part is being programmed. Manual programming definitely has its disadvantages. The time it takes to make a complete program is probably the biggest downfall. Compared to making a program/toolpaths on a CAM system, hand writing can take considerably longer, depending on the machinist. Not to mention the time it takes to run the program out and make sure everything works. Another important disadvantage would be the number of errors in the program. When you’re writing a program by hand or punching it in the controller, it’s very easy to make a mistake. All it takes is on wrong number, letter, is a misplaced decimal. Other areas that make manual programming inferior include: not being able to see your toolpaths, as well as the complication of needing to edit a program and more. While there are some huge downfalls to manually writing a CNC program, having the ability to manual edit a program is still extremely important in this industry. Just like giving a kid a blow torch; not knowing the basics before using high-tech software is a bad idea.